Shine On Car Wash has a newly designed detailing station using state-of-the-art equipment to provide your vehicle the cleanest wash. Our facility only uses freshly filtered water which gives vehicles cleaner washes, without water marks and streaks. We use Earth Ready biodegradable soap and chemicals that is environmental friendly. Relax and watch television in our waiting room while you wait for your vehicle to be serviced. We offer a variety of refreshments, snacks, and accessories available for purchase. 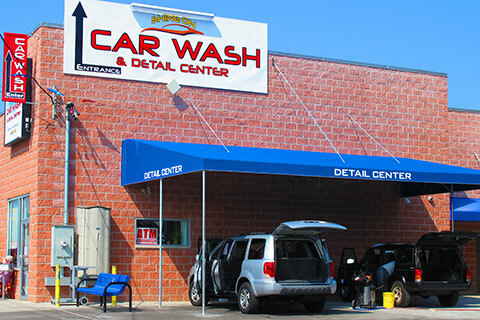 At Shine On Car Wash, we strive to provide our customers with the best car wash experience. Contact us at 718-322-9274 (322-WASH) for more information about our car wash and detailing services.